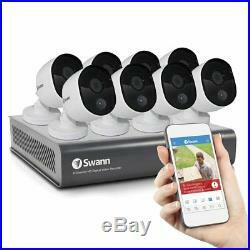 Swann SWDVK-845808V-US DVR W/Google Assistant 8 Camera Security Digital Video. 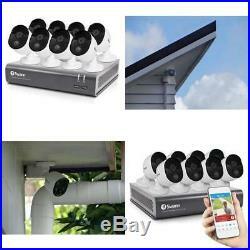 Want to see your home on your phonelive or playbackfrom anywhere in the world? 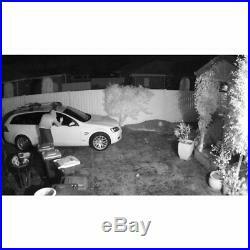 Want a security camera system packed with the latest CCTV tech like weatherproof cameras, night vision, push notifications, Dropbox integration and Google Assistant compatible? Then you need to choose the Swann 8-Channel 1080p 1 TB DVR with 8 Cameras and Google Assistant! True Detect thermal motion sensing auto records and sends you a push notification when it detects warm objects, like people or cars. 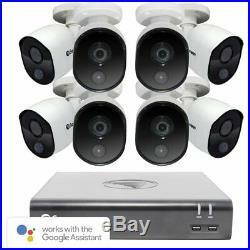 An 8 channel security system suits medium-sized properties for comprehensive outdoor and indoor surveillance. Link your DVR to your Dropbox and upload still images to the cloud for off-site storage! 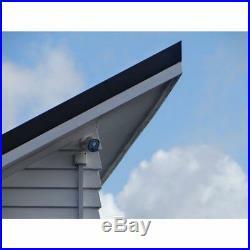 And this system works with the Swann HomeSafe View app for complete peace of mind. 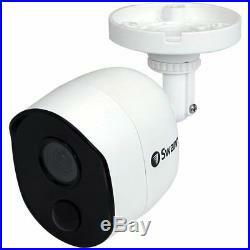 Night vision up to 50ft. 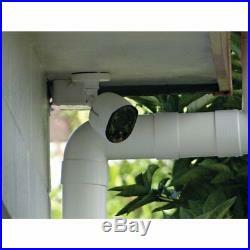 PIR sensor range up to 32ft. 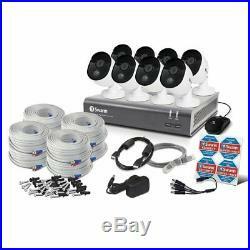 Includes eight 1080p True Detect cameras, eight 60ft BNC cables, Ethernet cable, HDMI® cable, power adapter & splitter, mouse, mounting screws & plugs, quick-start guide & theft-deterrent sticker. 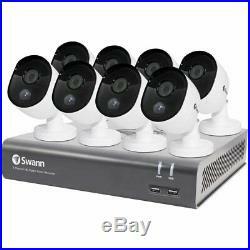 The item "Swann SWDVK-845808V-US DVR WithGoogle Assistant 8 Camera Security Digital Video" is in sale since Tuesday, October 30, 2018. 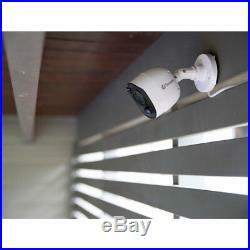 This item is in the category "Consumer Electronics\Surveillance & Smart Home Electronics\Home Surveillance\Security Cameras". 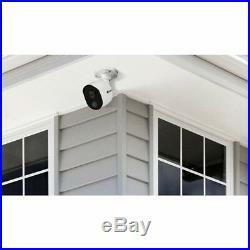 The seller is "hardhiddas" and is located in Muscatine, Iowa. This item can be shipped to United States, Canada, United Kingdom, Denmark, Romania, Slovakia, Bulgaria, Czech republic, Finland, Hungary, Latvia, Lithuania, Malta, Estonia, Australia, Greece, Portugal, Cyprus, Slovenia, Japan, Sweden, South Korea, Indonesia, Taiwan, South africa, Thailand, Belgium, France, Hong Kong, Ireland, Netherlands, Poland, Spain, Italy, Germany, Austria, Israel, Mexico, New Zealand, Philippines, Singapore, Switzerland, Norway, Saudi arabia, Ukraine, United arab emirates, Qatar, Kuwait, Bahrain, Croatia, Brazil, Chile, Costa rica, Antigua and barbuda, Aruba, Belize, Dominica, Grenada, Saint kitts and nevis, Saint lucia, Montserrat, Turks and caicos islands, Barbados, Bangladesh, Bermuda, Brunei darussalam, Bolivia, Ecuador, Egypt, French guiana, Guernsey, Gibraltar, Guadeloupe, Iceland, Jersey, Jordan, Cambodia, Cayman islands, Liechtenstein, Sri lanka, Luxembourg, Monaco, Macao, Martinique, Maldives, Nicaragua, Oman, Peru, Pakistan, Paraguay, Reunion, Bahamas, Viet nam, Uruguay.